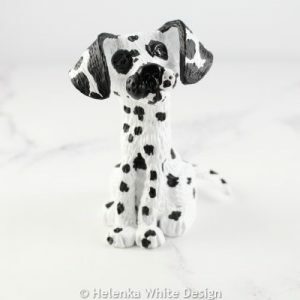 Here you can find handcrafted dog sculptures which are made with polymer clay and acrylic paints. 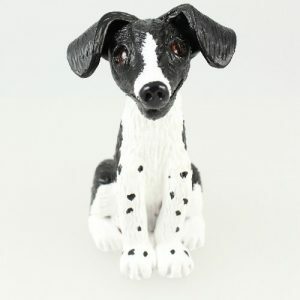 Cute black and white dog sculpture handcrafted with polymer clay. After curing this sculpture has been hand painted with black and white acrylic paints.